As the leading world-class tech giant ‘Apple’, boastfully introduces the new installment in their iPhone gamut, the mighty iPhone 6S, one can say that it isn’t just the same as it’s predecessors. Although almost similar in identity to iPhone 6, the world isn’t just turning a blind eye to this ultra-thin gadget which instills your phone-handling experience with a sense of weightlessness, instead, the people are embracing the fact that it is promoting a design which in all senses is truly trend-setting. Large sections of fan base are being swept by this gadget which is primarily due to the appealing features the new iPhone 6S exhibits. A screen which definitely looks magnanimous and definitely bigger than the previous ones is the prime highlight of this new entrant which at the same time is supplemented by the most iconic feature, the 3D touch which this device glorifies. The rates at which the processors perform are also definitely much higher than those of the previous installments in the franchise. Now quite specifically decoding all the salient features this phone possesses bit by bit, one can begin with, say design. The iPhone 6 S possesses a very elegant design when it comes to exhibiting a sleek and smart touch. When it comes to the feel of the touch, it is pretty much the same as the iPhone 6. It’s glossiness sets it class apart from a lot of other smart phones thus making it widely popular amongst the techno-geek populace. Aluminium which finds advantages in the aerospace industry constitutes the chassis for this phone. 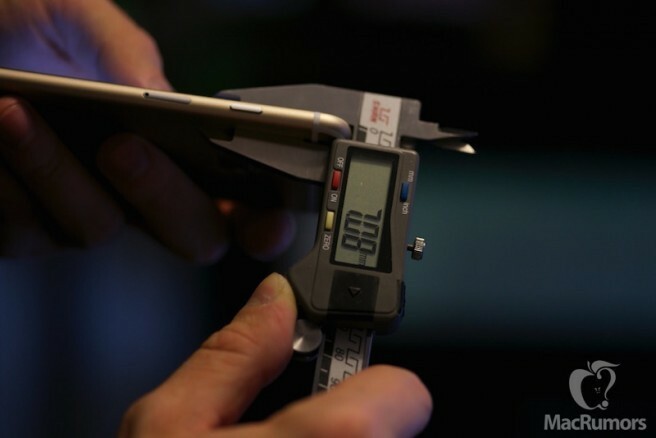 Thickness of the iPhone 6S stands at 7.08 mm which is slightly thicker than it’s predecessor, iPhone 6, it’s previous competitor in the game which stood at 6.9 mm. The iPhone 6S is unique in the sense that it features an extra-sleek and slim body which is round around the corners and in addition to this, in overall, it possesses an ultra thin body. Slight increases in the height and width of the iPhone 6S is also witnessed with the device measuring 138.19 mm tall and 67.68 mm wide. Thus, in totality, the design is pretty much more appealing than the iPhone 6. Taking the definition of the ‘most innovative technological advancements ever put in a gadget’ to a whole new level, the new 3D touch feature is the USP of the phone when it comes to estimating the market value of the phone. Thus pressure sensitive navigation along with the high speed processor integrates all the qualities of a classy phone into a single masterpiece, the iPhone 6S. Inclusion of a variation of Force Touch which can be easily spotted on Apple’s watches, in the form of 3D Touch is done here about which we have already talked in great detail. Pressing the down button on the menu opens up menus which happen to be context-sensitive. Also, you can browse through your photos and do a lot of other stuffs. As the Apple says, peeking in is the new concept instilled in the new iPhone 6S by means of which, you can apply fingertip pressure to a message element which might generate more information than the others. Pressing harder on the other hand pops up a lot of other options. The kernel of the iPhone 6 S contains chips which are smaller and much more faster than those from the previous generation A8. The core consists of 64-bit A9 chip from the third generation. 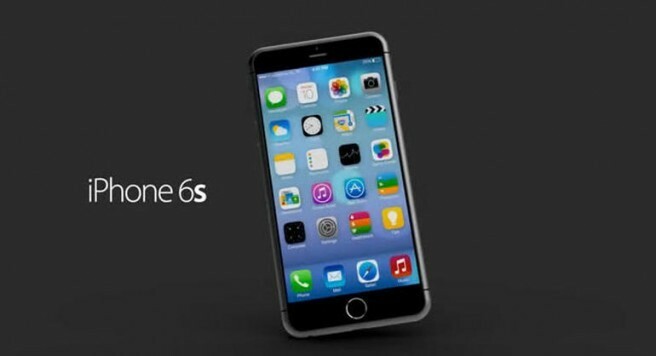 The tech giant claims that A9 is 70 per cent faster than the iPhone 6’s A8 processor. 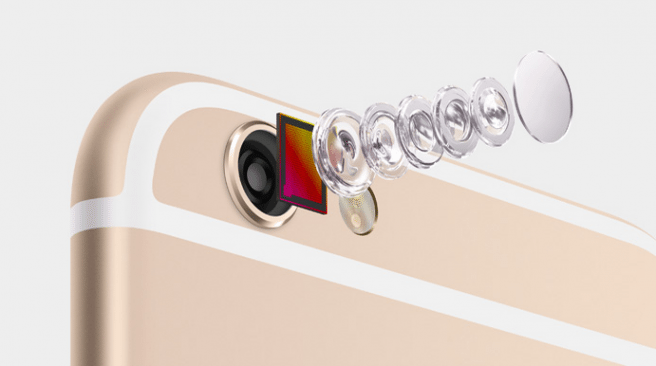 iPhone 6 S flaunts a 12 MP camera edging over it’s predecessor iPhone 6 which had an 8 MP with flash, f/2.2 aperture and sensors which highly contributed to the sturdiness of the camera. iPhone 6 S on the other hand has auto-focus which automatically picks up pace and the color accuracy is also top-notch. 5-MP front camera brings a lot of pride too in the camera domain. Most definitely, it includes face time video but the catch here is that instead of the flash, the iPhone S uses the home screen to light up. Live Photos is another feature which turns the photos into GIFs, or short videos. Finally, the feature which distinguishes it is the ability to record videos in 4K at 3840 x 2160 pixel resolution. The iPhone 6 S outperforms it’s previous competitors when it comes to judging them on the basis of their wireless capabilities. The iPhone 6 S offers faster 4G, faster LTE and faster Wi-Fi connections. Coming in 16 GB, 64 GB and 128 GB storage categories along with an attractive upgrade program, this iPhone 6 S truly rattles the iFan base which is why if you are an iFan, you must go with it!